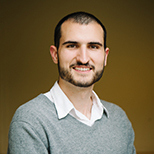 Max Luke is a policy associate in the Energy and Climate Program at Breakthrough Institute. His research has focused on a range of energy issues and topics including nuclear power, natural gas, renewables, energy efficiency rebound and backfire, national energy subsidies, and electricity systems. His writing and research has been featured in national media and he is the co-author of “Coal Killer: How Natural Gas Fuels the Clean Energy Revolution.” He is a graduate of McGill University, Canada, where he completed a B.Sc. in Environmental Science.